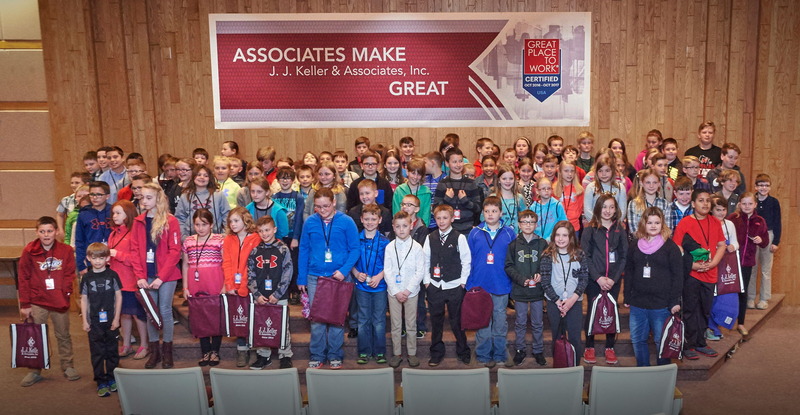 Neenah, WI - J. J. Keller & Associates, Inc. hosted nearly 100 students, ages eight to twelve years, for their annual Take Your Child to Work Day event on April 27, 2017. The half-day program included a welcome ceremony, interactive presentation and student participation in multiple hands-on creative learning activities focused on safety, online training, sales and product development. Each activity provided children the opportunity to engage as a team and learn more about the solutions and services offered by J. J. Keller & Associates, Inc.
J. J. Keller has hosted the annual event since 2005 in conjunction with the nationally celebrated “Take Our Daughters and Sons to Work Day” as a way to encourage students to invest in their future and embrace opportunities for potential educational and career development.